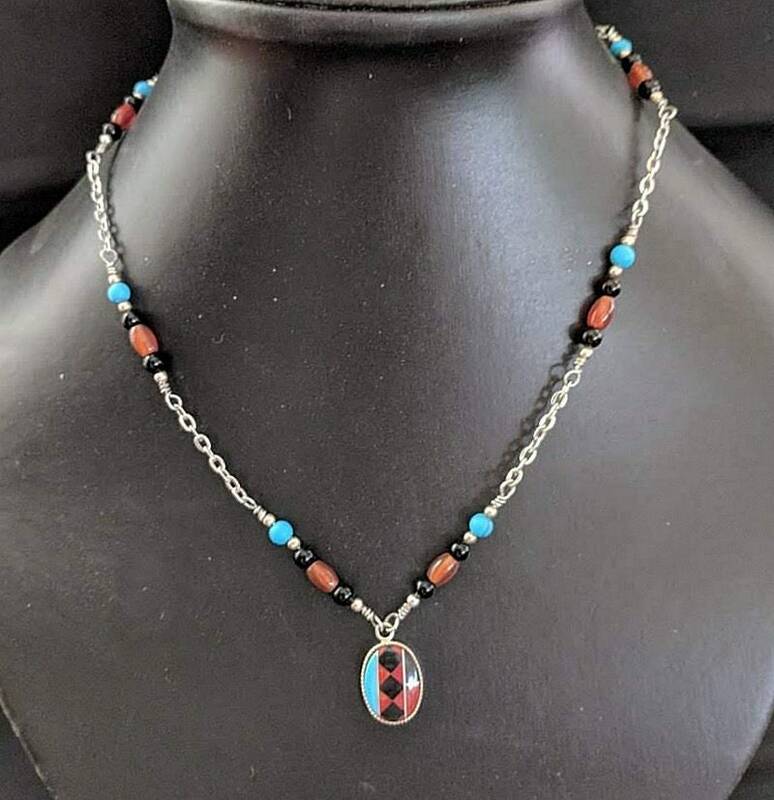 A unique necklace with a 14 x 10mm cabochon inlaid with coral, turquoise and onyx in a traditional Native American design. 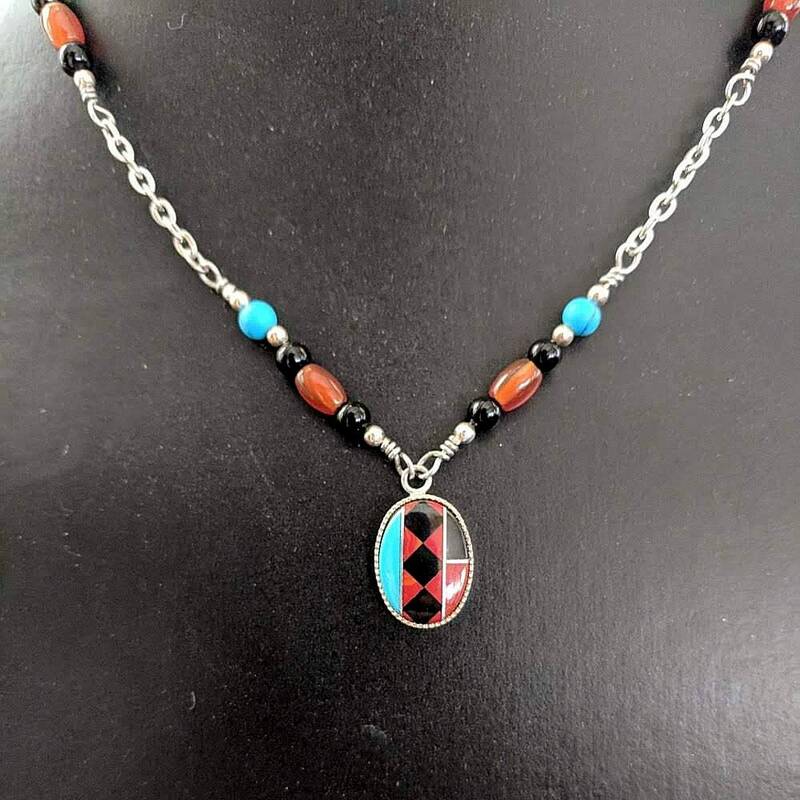 The chain has carnelian, onyx and turquoise bead links and is approx. 16 1/2" in length and closes with a toggle fastener. 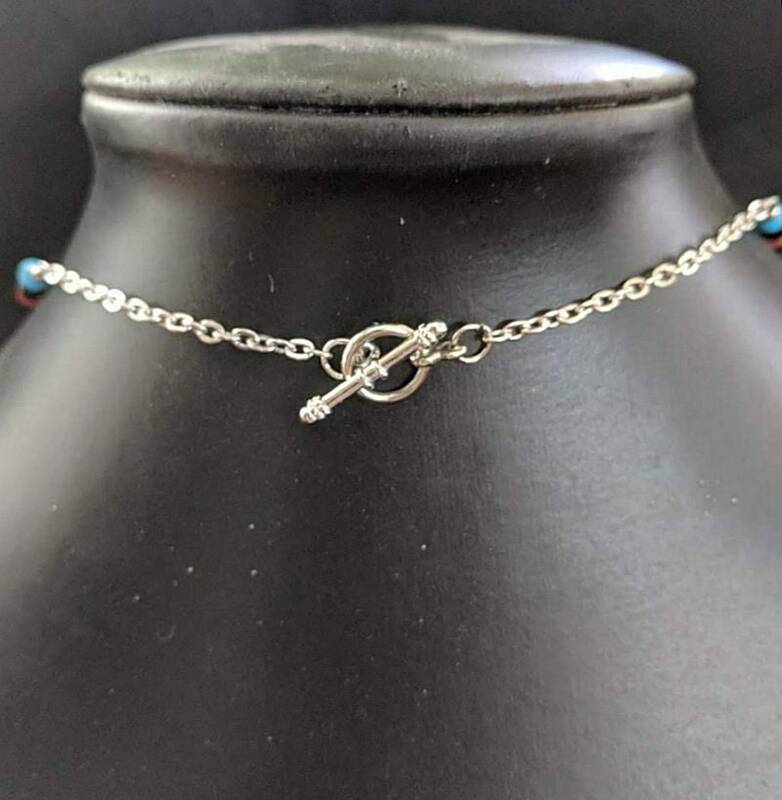 Necklace only! 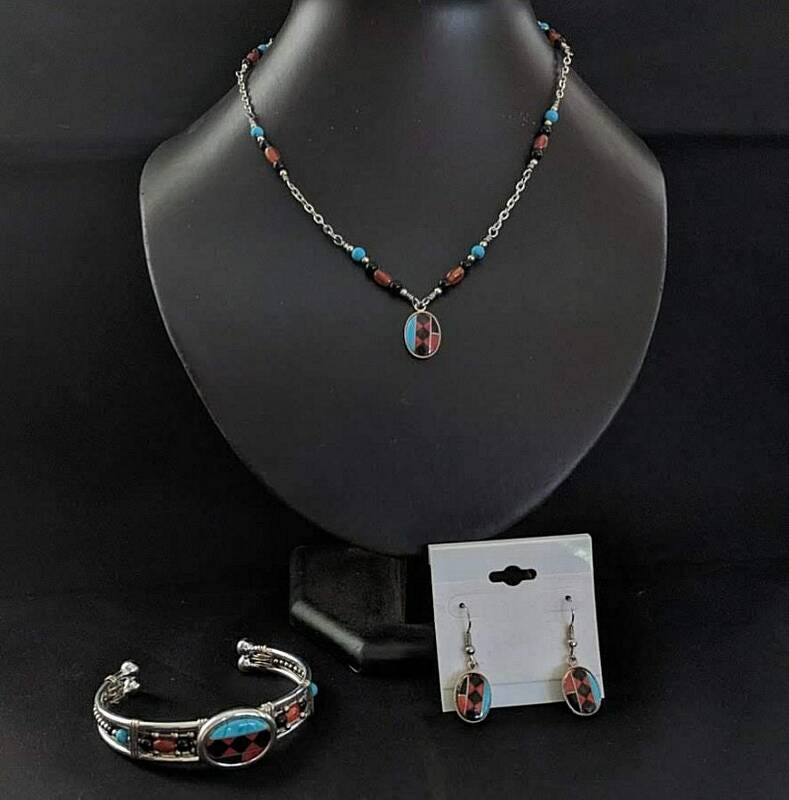 Matching inlaid bracelet cuff and 2 styles of earrings are for display only and are listed separately (See last 2 pictures). We ship via USPS Priority Mail which has a 2-3 days delivery time once the package is posted, plus you can track the progress on line. 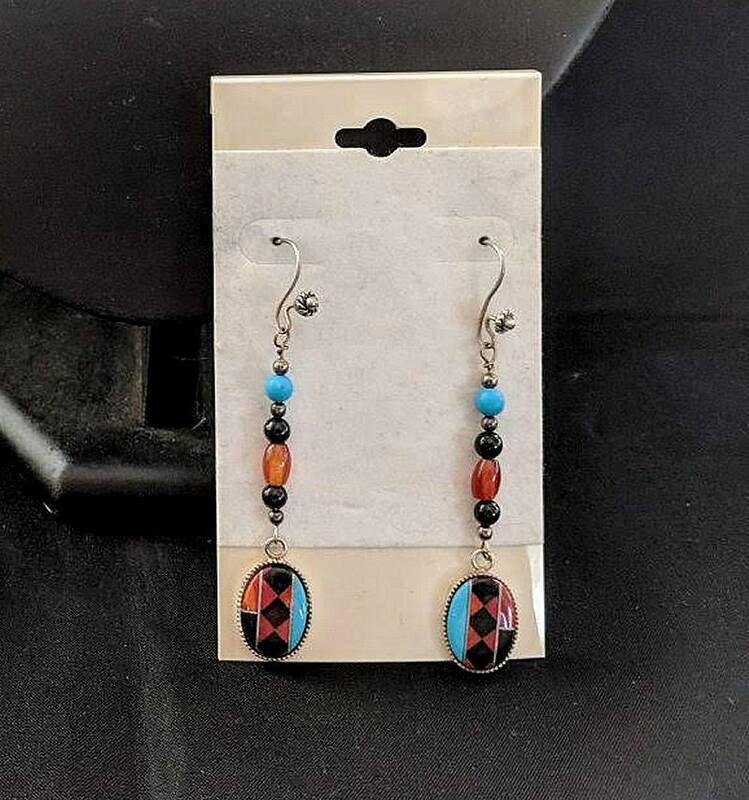 The minimum S&H costs is $8, please let us know if you plan to buy additional items and we will add them to the same small flat rate box at no extra charge. TURQUOISE - The birthstone for December, Turquoise was popular in ancient Egypt, China and Aztec cultures. 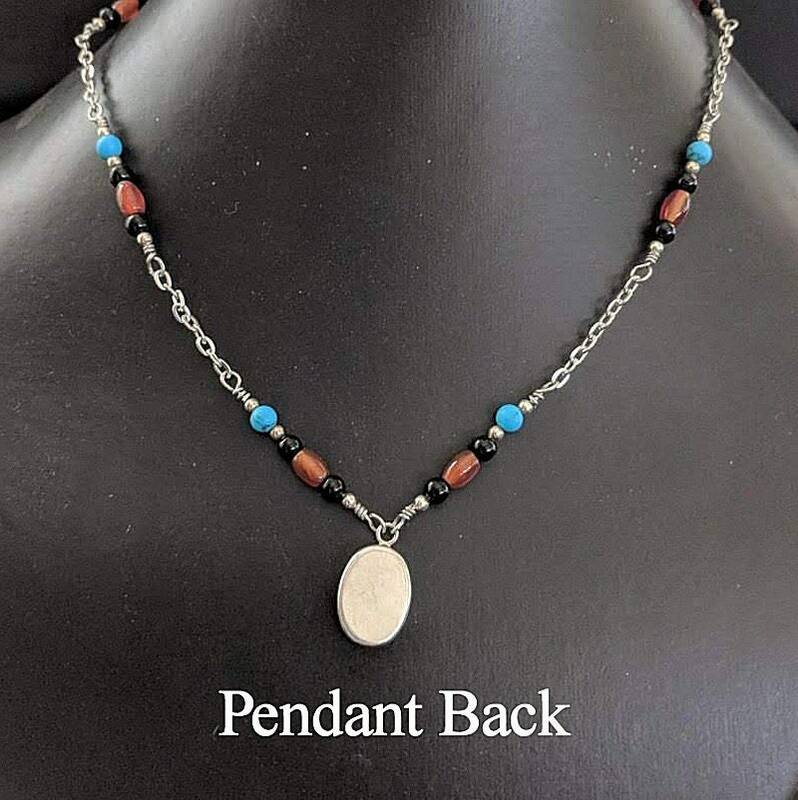 It is still used by the Native American tribes and has always been considered a stone of life, beauty and good fortune. As the stone of communication, it encourages enthusiasm while attracting prosperity and success. CORAL supports the physical body by strengthening the energy core. It promotes love, healing, protection, peace and wisdom. It comes from two Greek words meaning "Daughter of the Sea." Believed by some cultures to contain the life essence of the Mother Goddess with its connection to the ocean and the moon and their cycles.